ISO 9001:2015 certified supplier of ANSI, API and sub-ANSI magnetic drive pumps, ANSI mechanical seal pumps and small gear pumps. Magnatex pumps are available in stainless steel, alloy, fluoropolymer and FRP materials to meet the most demanding applications in the process industries. Magnatex pumps are installed in thousands of plants worldwide handling a wide variety of tough pumping challenges. 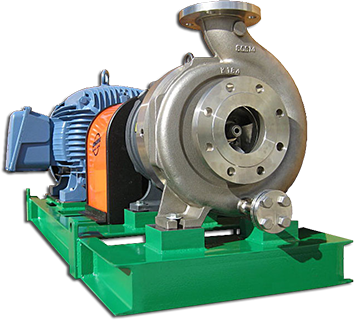 Our pumps handle everything from recovery solvents to heat transfer fluids, viscous liquids, acids, bases, toxic or noxious liquids, and high purity fluids. Please let us know if you would like to hear how our products and services can improve your process reliability and increase your profitability. Copyright © Magnatex Pumps, Inc. All Rights Reserved.